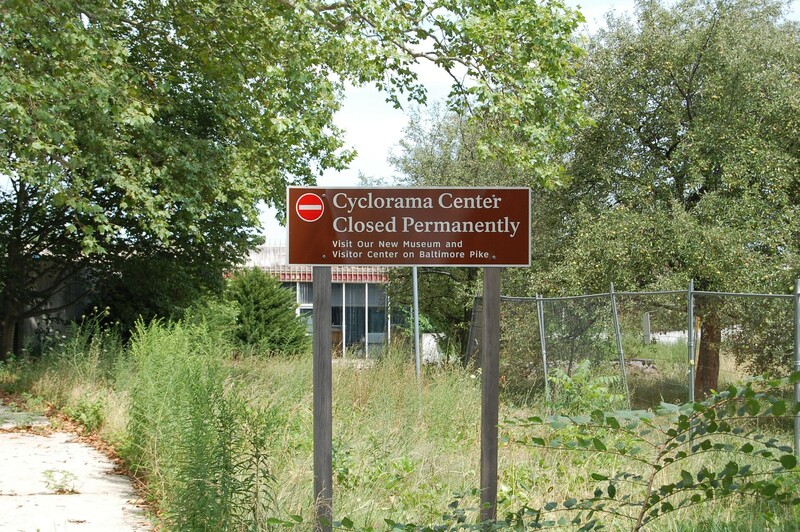 Though the Cyclorama building still stands, a number of issues hang in the balance about what will happen to the structure and to its adjacent parking lot. This view was taken facing east at approximately 3:00 PM on Saturday, July 17, 2010. The Gettysburg Cyclorama Center closed in 2008 with the opening of the new Visitor Center in September of that year. The National Park Service wants the building to come down, but those who want to see the structure preserved continue their battle in federal court. Modernist architect Richard Neutra, along with his partner Robert Alexander, designed the reinforced concrete, glass, and aluminum structure for Mission 66, the Park Service’s 10 year effort to upgrade visitor facilities from 1956 to 1966 (1966 being the 50th anniversary of the NPS). This view was drawn circa 1959. One of the main reasons the structure was placed here is that the prominent rotunda designed to house Philippoteaux’s painting should be as close as possible to the location depicted in the artist’s work. This view was taken facing southwest at approximately 3:00 PM on Saturday, July 17, 2010. 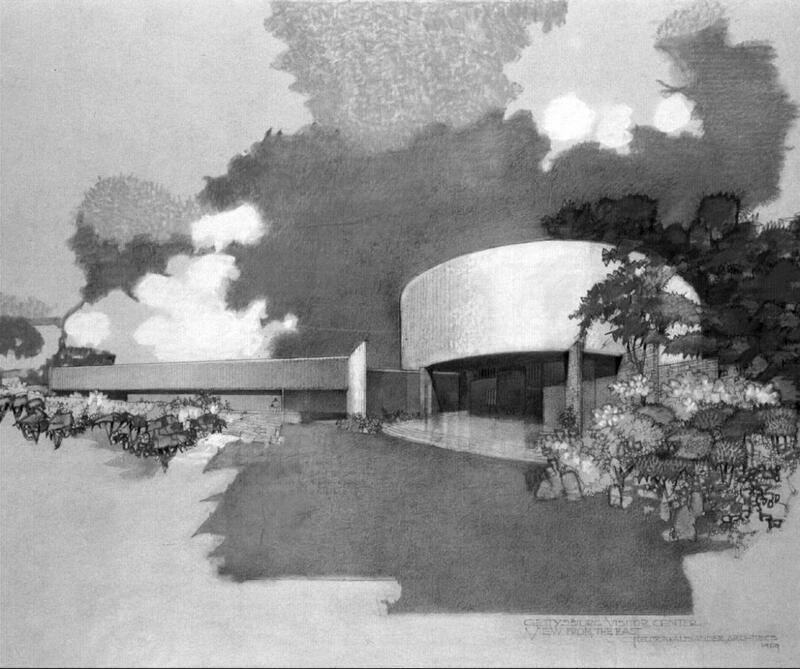 Construction drawings of the building were completed on June 1, 1959. Construction began at the end of that year and finished in 1962. The building was dedicated on November 19, 1962, the 99th anniversary of the Gettysburg Address. This view was taken facing west at approximately 3:00 PM on Saturday, July 17, 2010. 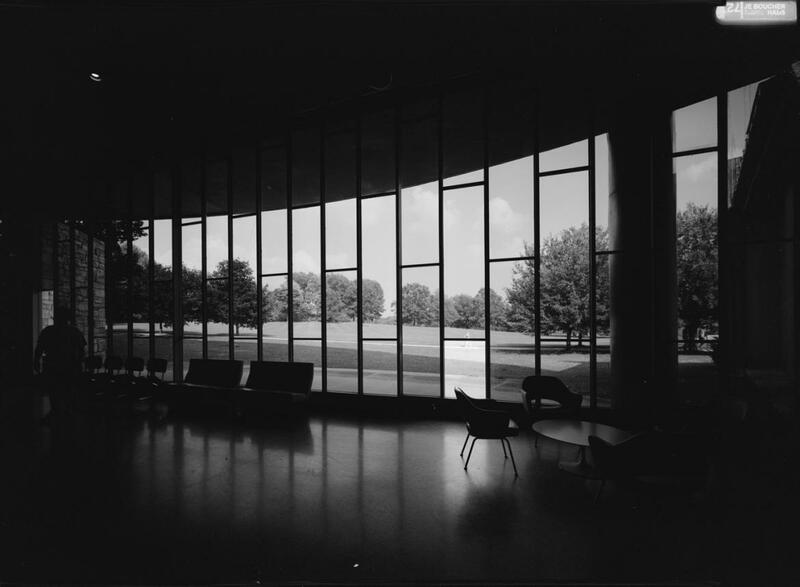 As the building settled the sliding glass doors seen here, which were opened for the dedication, no longer open. Park staff also reported that due to this settling of the structure, panels were prone to breaking every year or so. Why did this settling happen? It is possible that California architects did not understand the freeze/thaw of the earth in Pennsylvania and made the footers of the building too short. This view was taken facing northeast circa 2004 by the Historical American Buildings Survey. The most recent decision handed down by the federal court in the case of the Recent Past Preservation Network (including Dion Neutra, the architect’s son) vs the National Park Service, a case began in December of 2006, hinges on whether the park satisfied specific requirements of NEPA (the National Environmental Policy Act). The federal judge determined that they had not met those obligations. 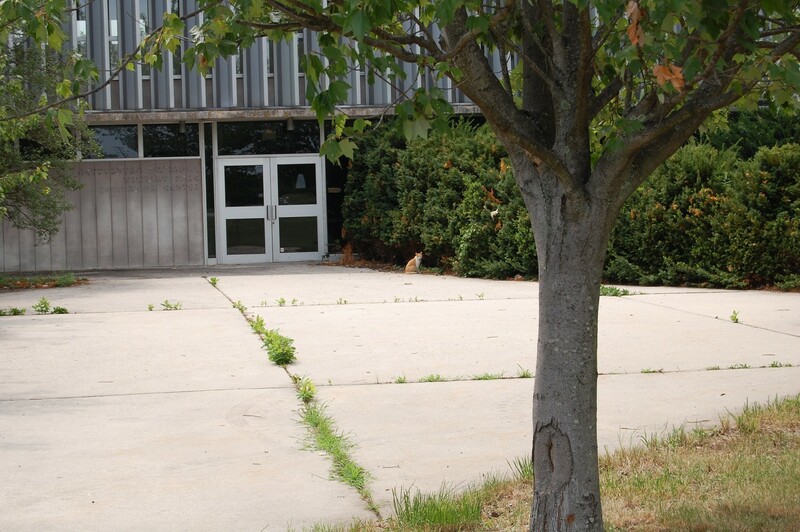 We wonder how this cat feels about whether or not his home will be demolished. This view was taken facing west at approximately 3:00 PM on Saturday, July 17, 2010. 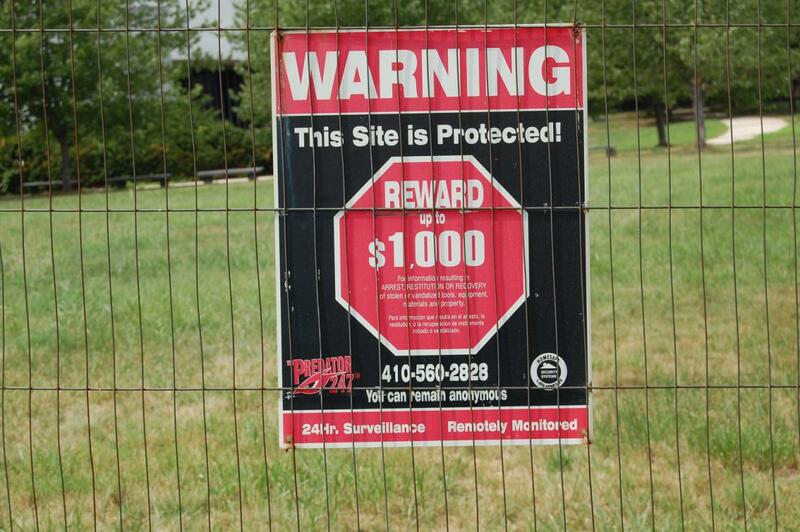 The National Park Service is required to examine all alternatives (including those that involve the structure staying in Ziegler’s Grove), to demonstrate that they have met NEPA standards. In the eyes of many, this is the final hurdle for the National Park Service in their legal battle, and although we are not lawyers, it is easy to see that this last hurdle will not be that hard to overcome. The NPS are only required to show they have met the NEPA standards — if the requirements are satisfied, the decision to demolish the structure will be theirs (for those of our readers with a better understanding of the legalese please feel free, as always, to correct us). 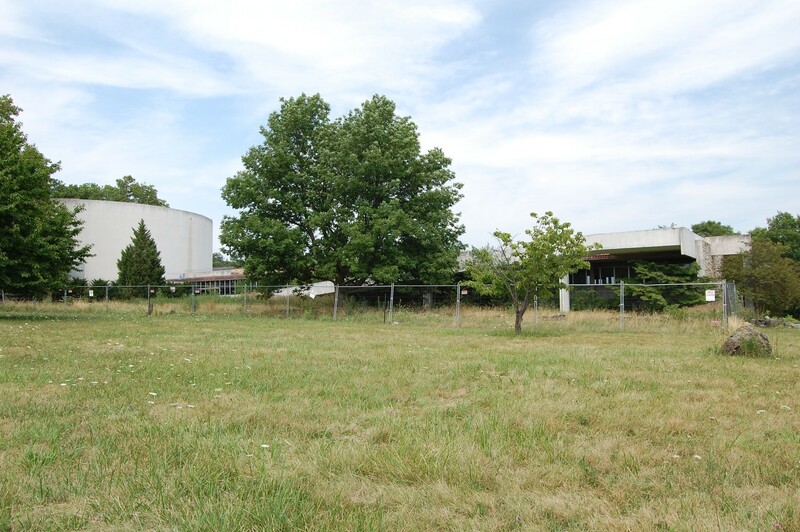 While considering these alternatives, “the park is seeking all comments by Oct. 1, 2010. Written comments may be submitted via mail to: Superintendent, Gettysburg National Military Park, 1195 Baltimore Pike, Suite 100, Gettysburg, PA 17325; via the Internet at www.nps.gov/gett; by e-mail to [email protected]; or by fax to 717-334-1891.” This view was taken facing west at approximately 3:00 PM on Saturday, July 17, 2010. The public comment will be included in the comprehensive environmental assessment/study the National Park Service completes in order to satisfy the NEPA requirements. If you would like to make your opinion heard in person, sessions will be held at 7 PM on Thursday, September 16, and at 2 PM on Friday, September 17, in the classroom at the new Visitor Center on the Baltimore Pike. This sign is to remind anyone prowling about that the building is monitored by surveillance even though it is effectively abandoned. This view was taken facing north at approximately 3:00 PM on Saturday, July 17, 2010. In the architect’s design for the building this roof/observation area was the final stop for the flow of visitors through the center. After viewing the painting they would come up to the observation deck and be able to look out over the fields of Pickett’s Charge and down both the Union line on Cemetery Ridge and the Confederate line on Seminary Ridge. 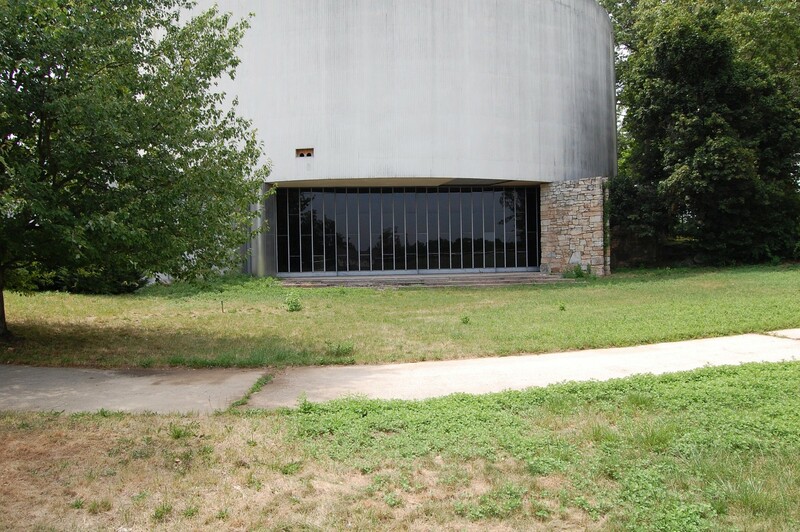 The structure was used as the Visitor Center until 1972, when it was renamed the Cyclorama Center. 1972 was the same year the Soldiers National Cemetery was officially closed to new internments. This view was taken facing north at approximately 3:00 PM on Saturday, July 17, 2010. The trail here also played an important role in the use of the building. Many visitors will remember following it around the center … This view was taken facing north at approximately 3:00 PM on Saturday, July 17, 2010. 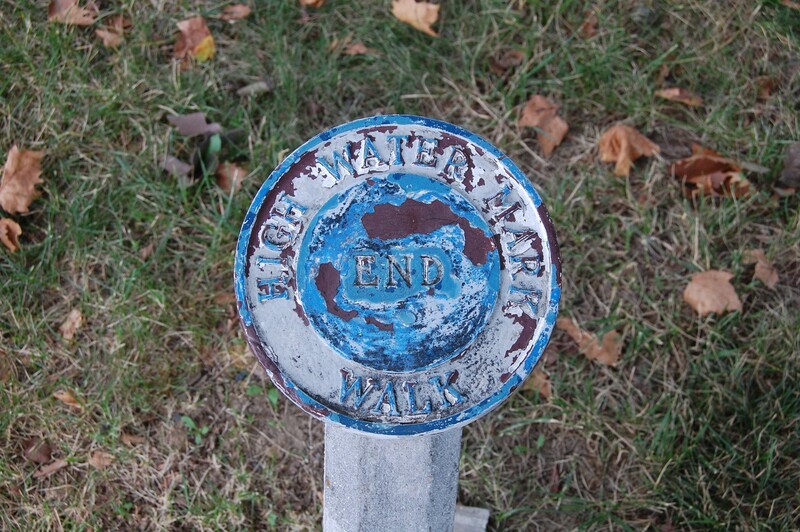 … on the “High Water Mark Walk.” This view was taken facing north at approximately 3:00 PM on Saturday, July 17, 2010. The question “What should we preserve?” has different answers on both sides of the legal battle. Those arguing that the building should not be demolished believe that the Mission 66 structure, even though it did not gain placement on the National Register of Historic Places, is a snapshot of modernist architecture and worthy of preservation. 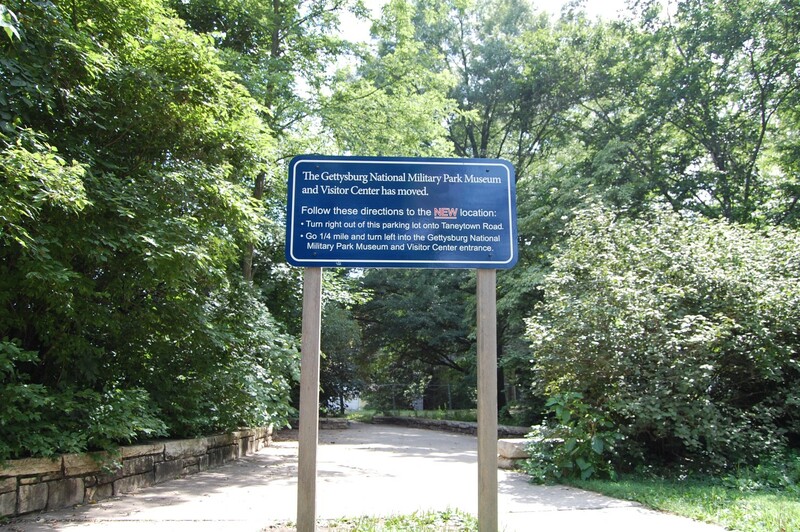 Those who want it demolished would remind us that as part of the National Park Service’s desire to restore the battlefield to its 1863 appearance, Ziegler’s Grove and the potential viewshed afforded by the building’s removal is more important. Many also mention that the Cyclorama Center’s parking lot displaced 7 markers/monuments placed by veterans. 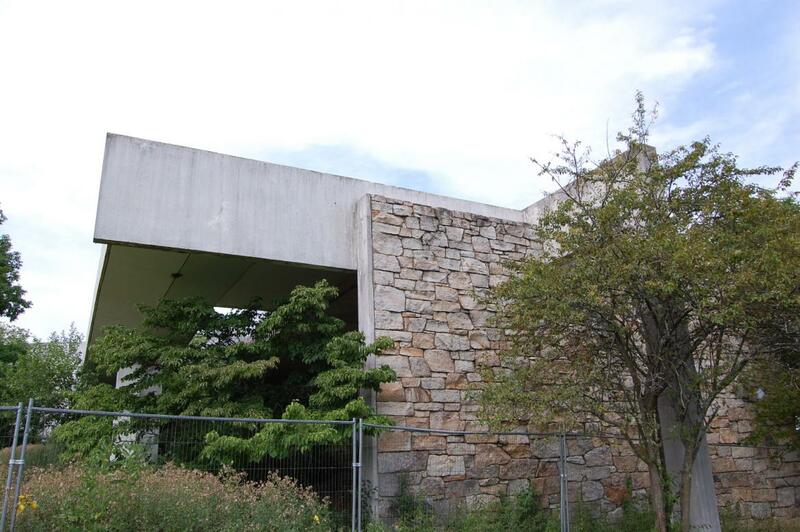 Park staffers who worked in the building also have pointed out to various news sources that the structure was plagued by facilities problems in its final years of operation and that this would pose many challenges to finding a new use for Neutra’s building. This view was taken facing northeast at approximately 3:00 PM on Saturday, July 17, 2010. Original plans for the structure called for a nine-story observation tower. During the construction process contractors often complained of hard to meet demands from the architects. Neutra rarely made the trip from Los Angeles and worked via proxy through his field office in Philadelphia. Specific requirements for stone and certain landscaping features would have to be dropped or modified during construction. This view was taken facing east at approximately 3:00 PM on Saturday, July 17, 2010. 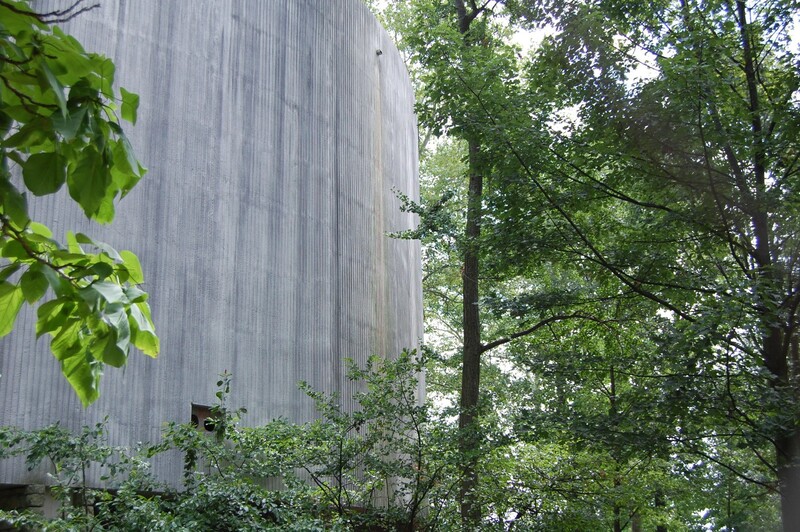 As early as 1977 the Advisory Council on Historic Preservation called for relocation of the structure, and again in 1999 called for its removal, claiming that “With rare exceptions, the millions of people who have visited the GNMP since 1962 have come to see the battlefield and not Neutra’s architecture. Neutra has a secure place in the pantheon of American architectural history. 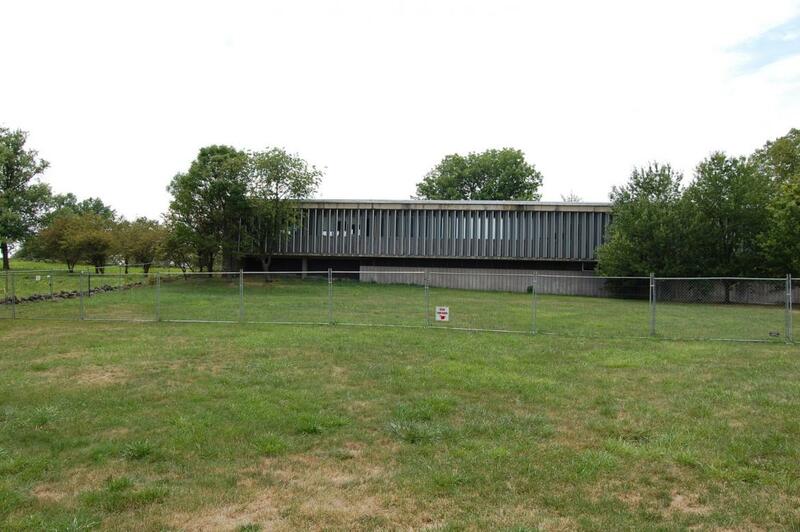 There are other Neutra buildings; there is only one Gettysburg Battlefield. The proper treatment of the Building would be considered under quite different criteria, of course, were it on some other site without superior historical competition.” If the park satisfies the requirements of NEPA per the judge’s recent ruling, it is likely that the structure will come down. 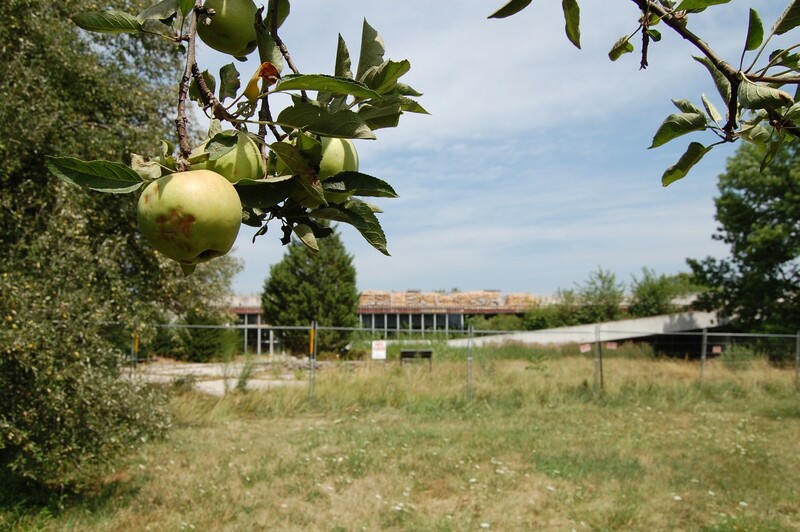 Even Dion Neutra and those who filed the suit have now begun to say to reporters that they acknowledge that the park can “jump through hoops” and demolish the structure, but that they hope it will be considered for other uses. This view was taken facing southeast at approximately 3:00 PM on Saturday, July 17, 2010. 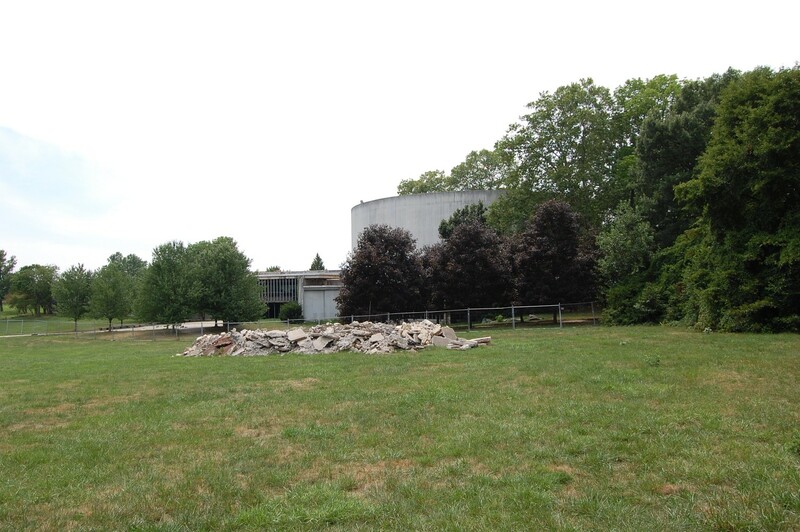 One of the larger and relevant questions to visitors concerns the Cyclorama Center parking lot, located behind the photographer in this picture. 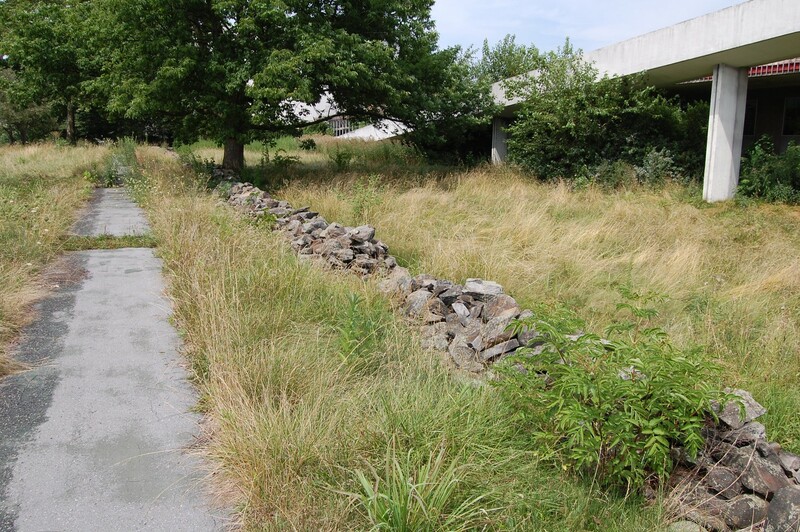 According to National Park Service spokesperson Katie Lawhon, the old Visitor Center parking lot will be removed as early as next spring, but the fate of the Cyclorama Parking lot is not as certain. Many feel that some spaces in this area are necessary for visitors to reach the National Cemetery. The National Park Service had previously mentioned the possibility of keeping “40 or so” spaces for this purpose. This view was taken facing southwest at approximately 3:00 PM on Saturday, July 17, 2010.